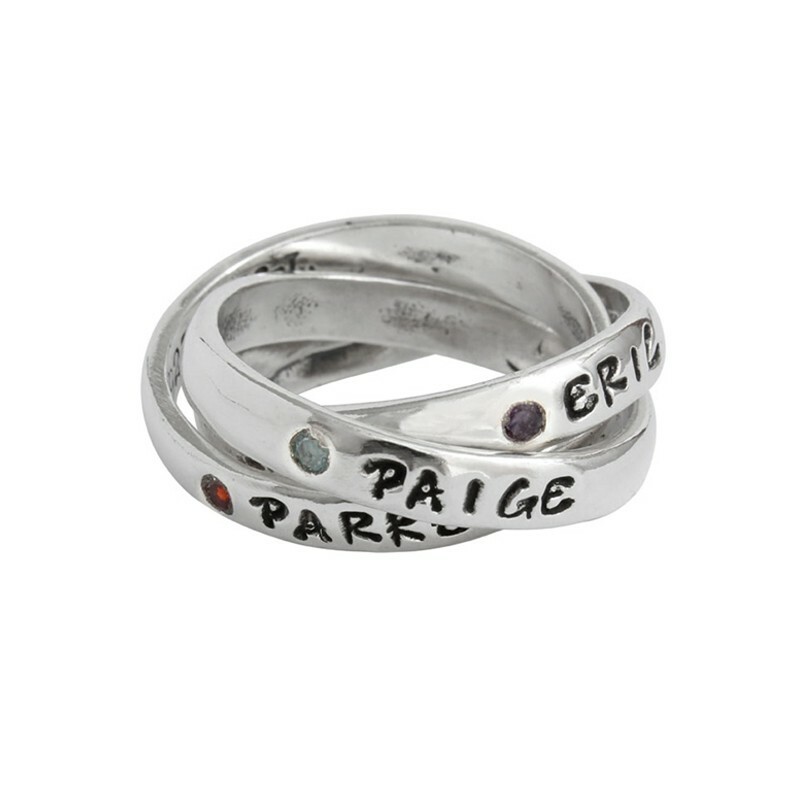 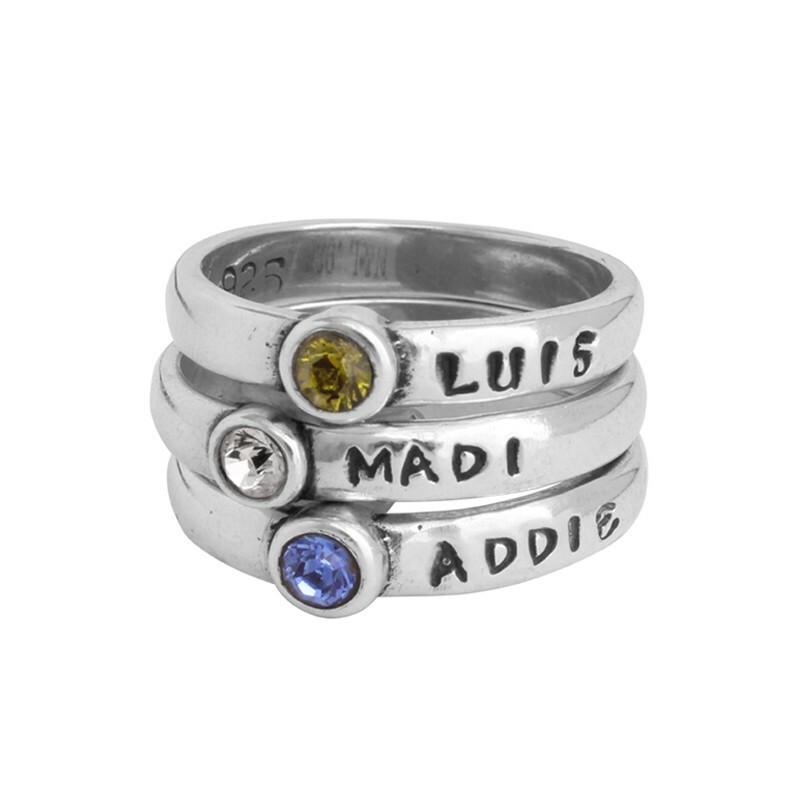 Choose between the popular single, double and triple grandmother's name rings or design your own custom grandmother's stacking birthstone rings, stack initial rings, gold grandmother's rings ~ almost any type of ring to celebrate love and family. 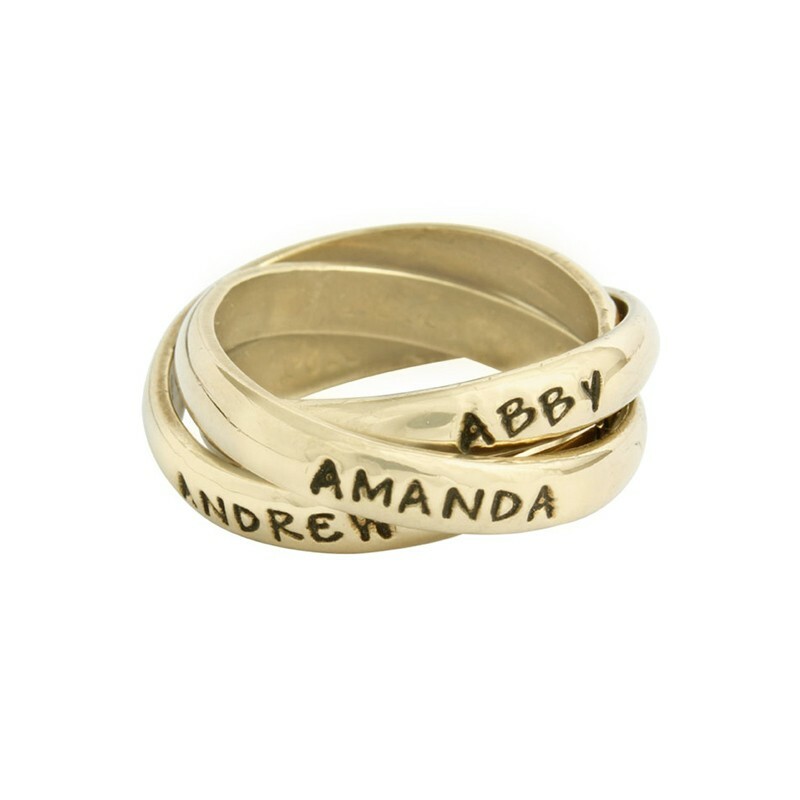 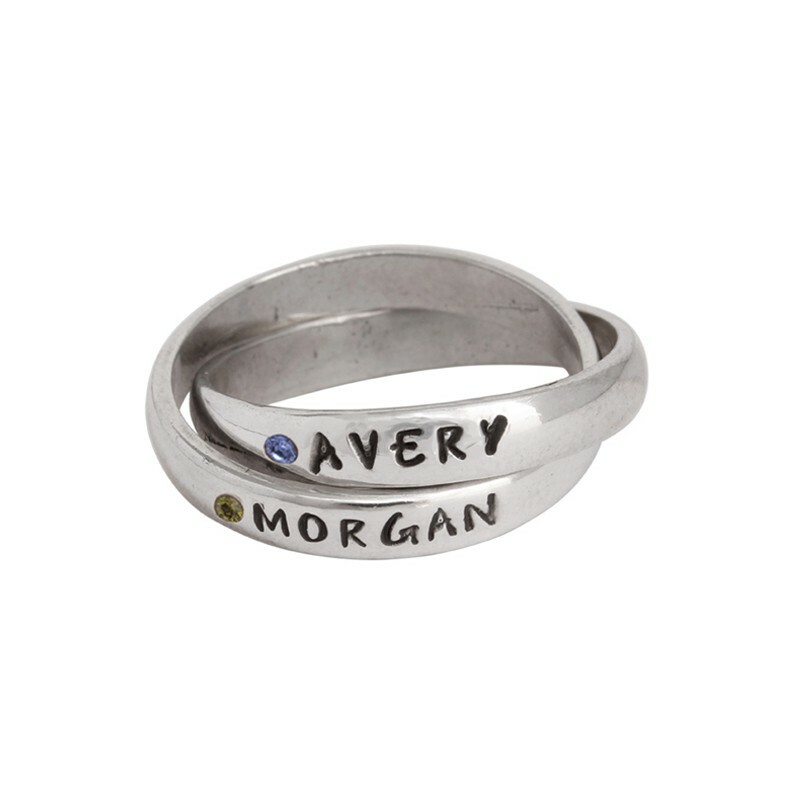 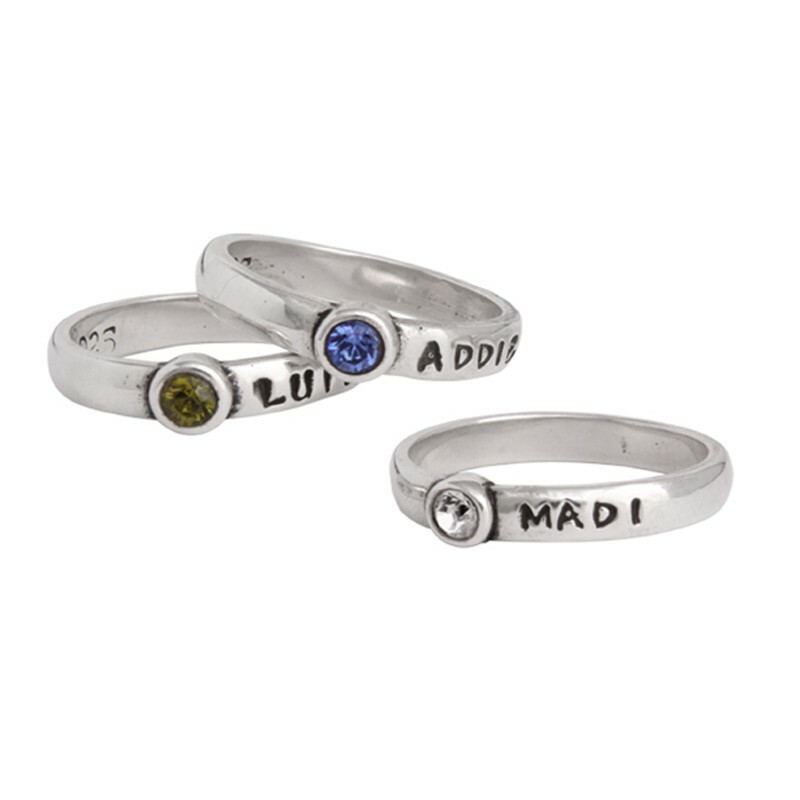 Create an heirloom which is a special gift for grandma and design a personalized grandmother's ring today. 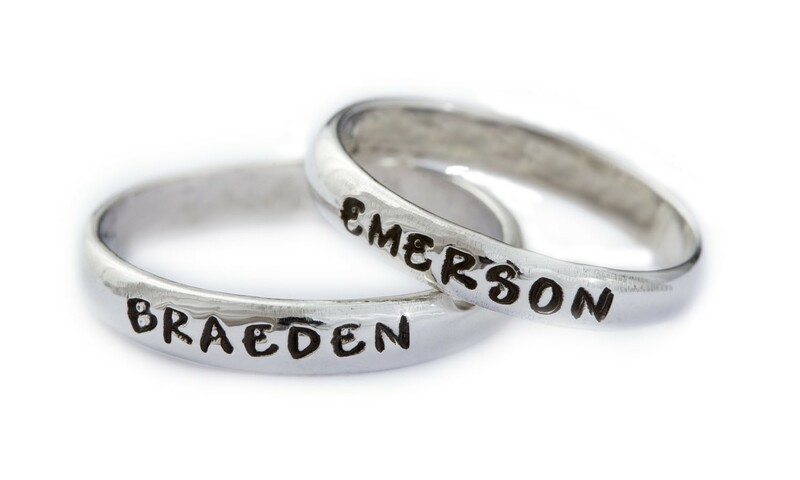 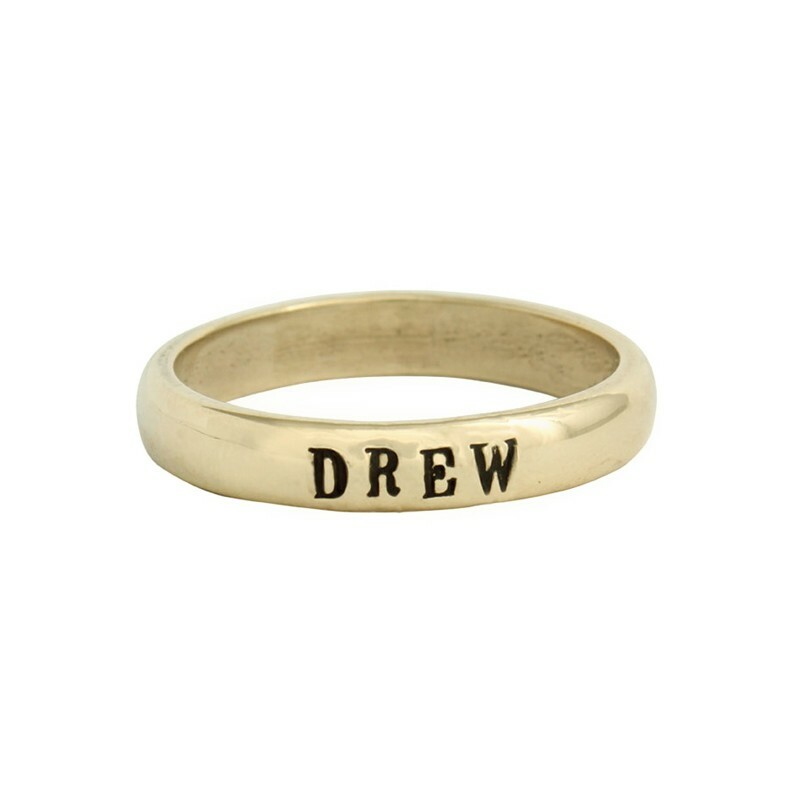 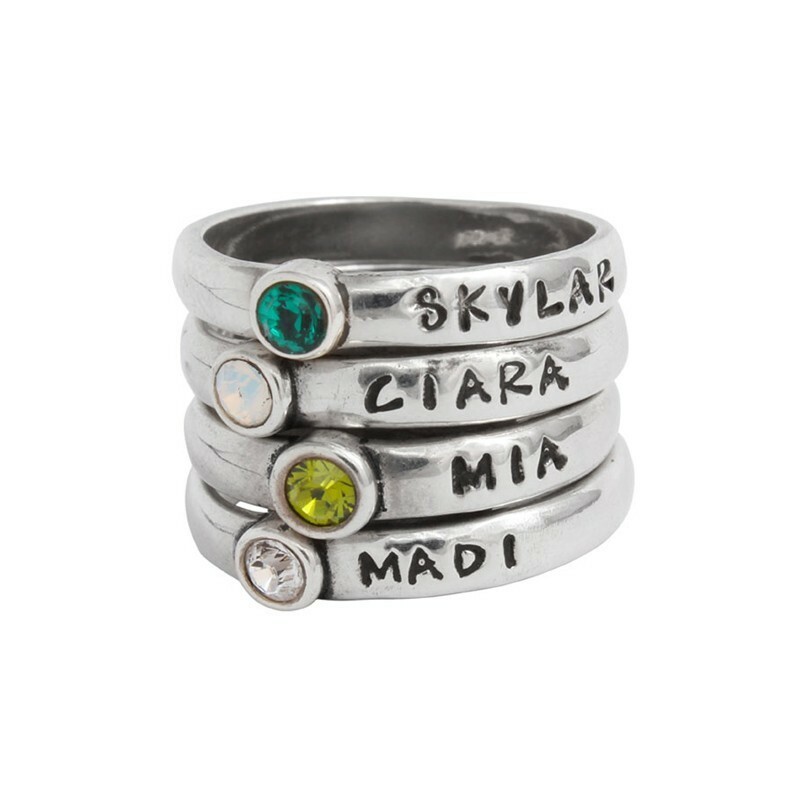 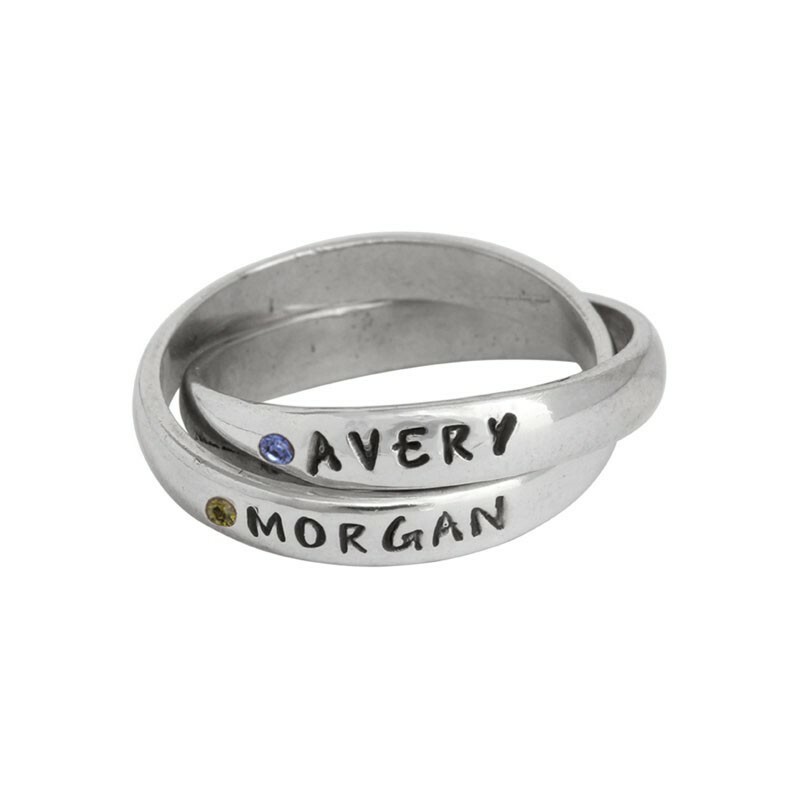 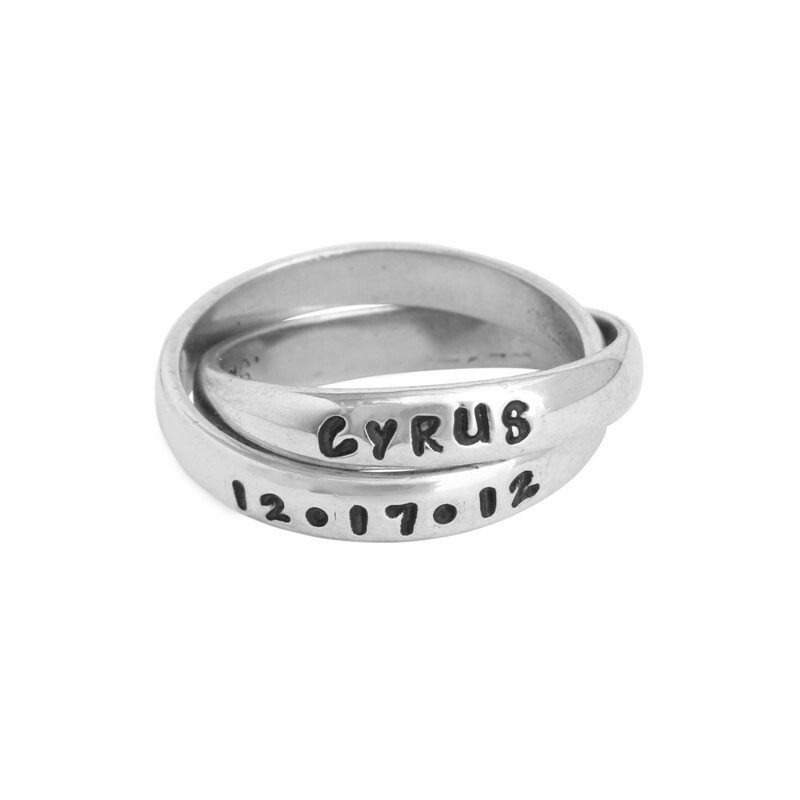 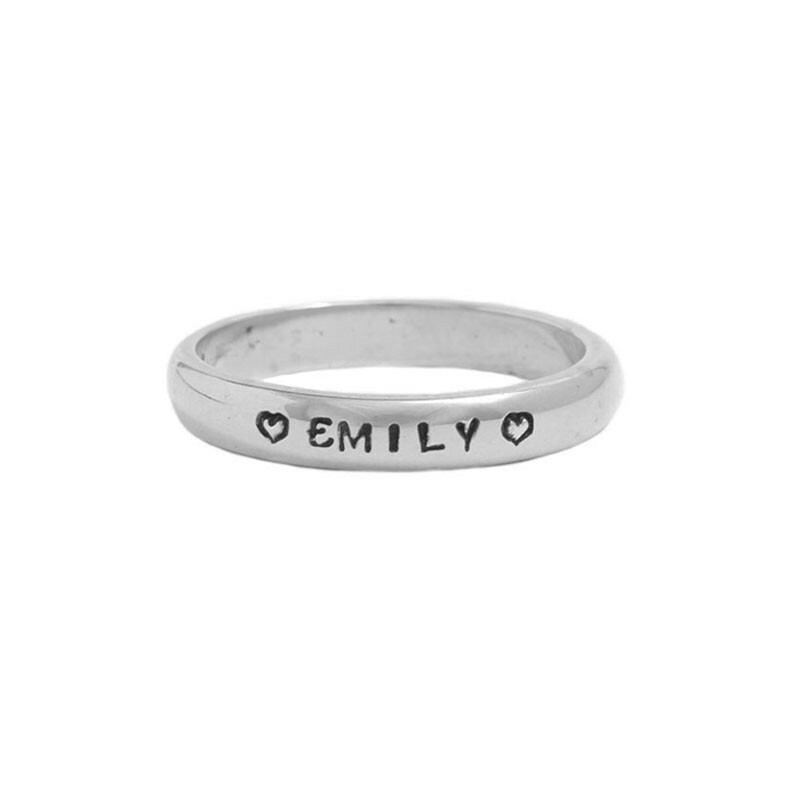 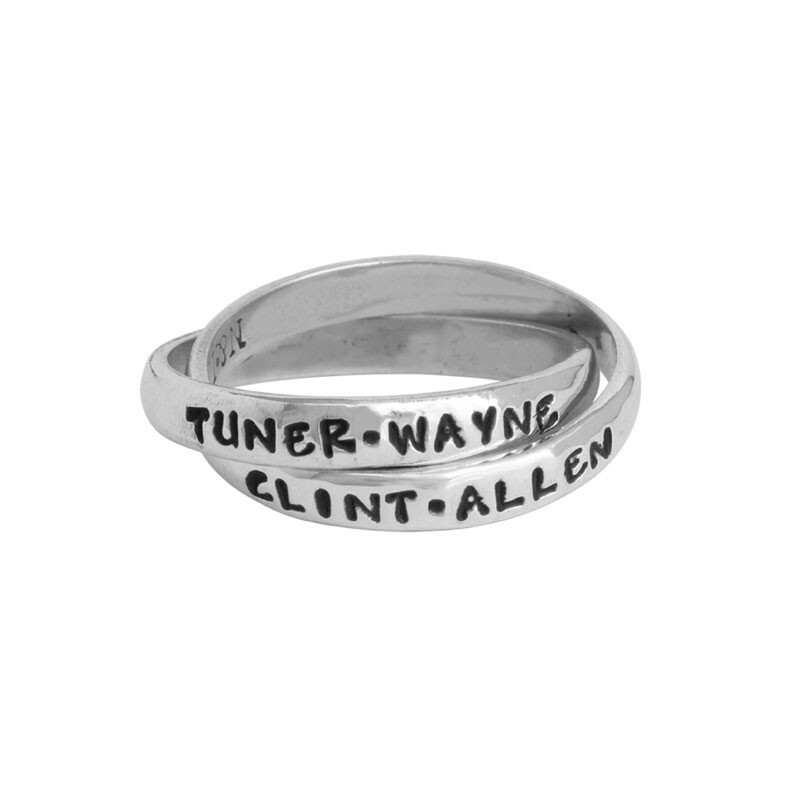 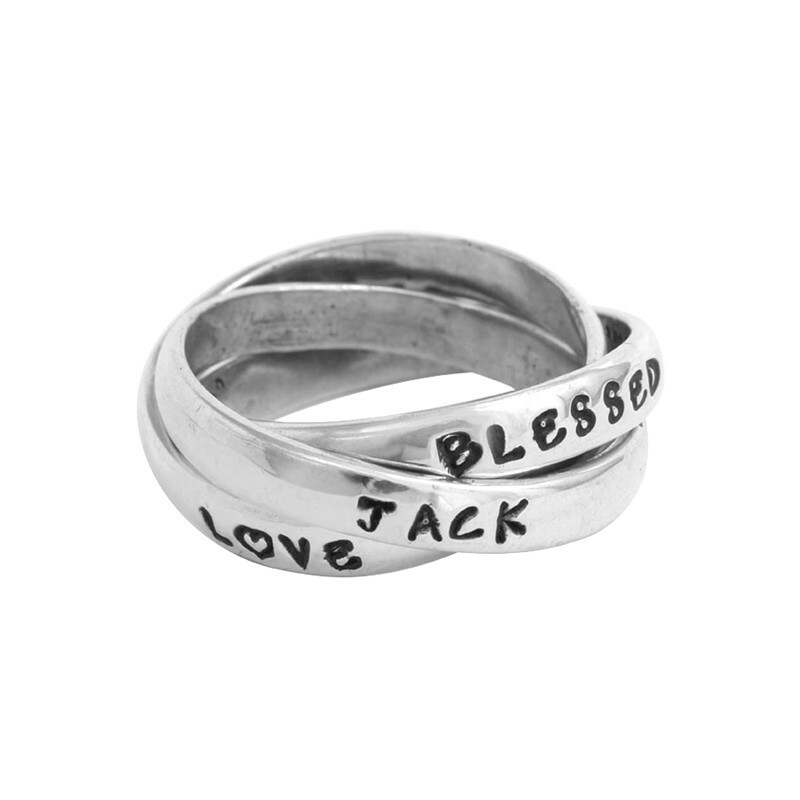 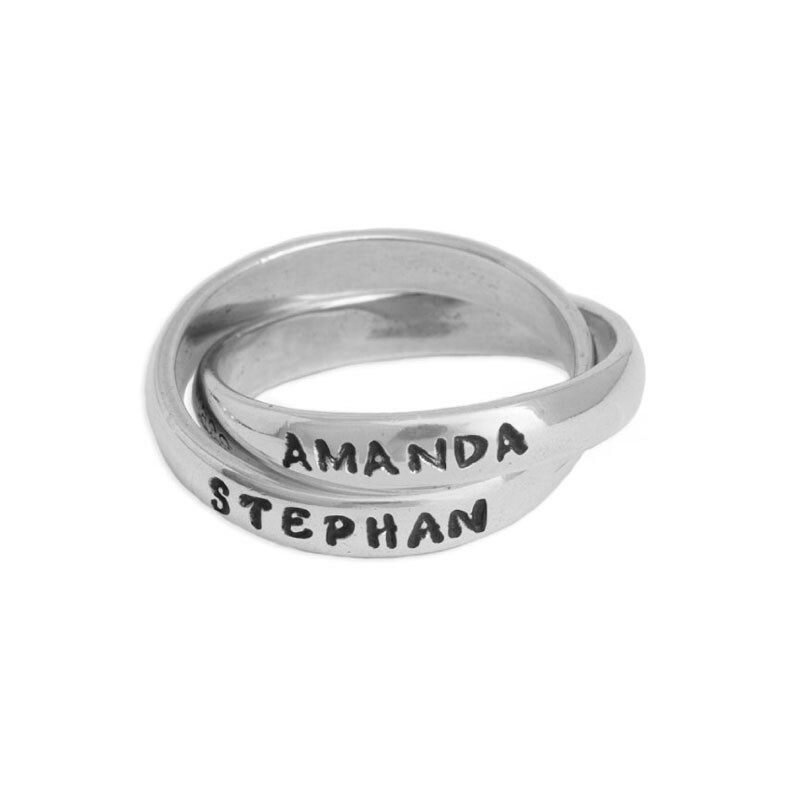 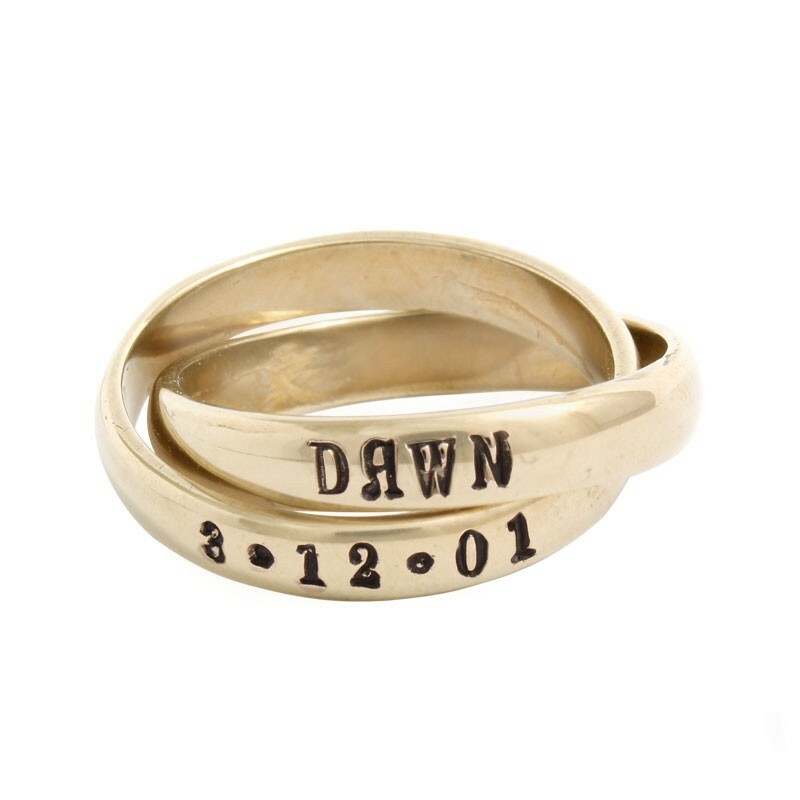 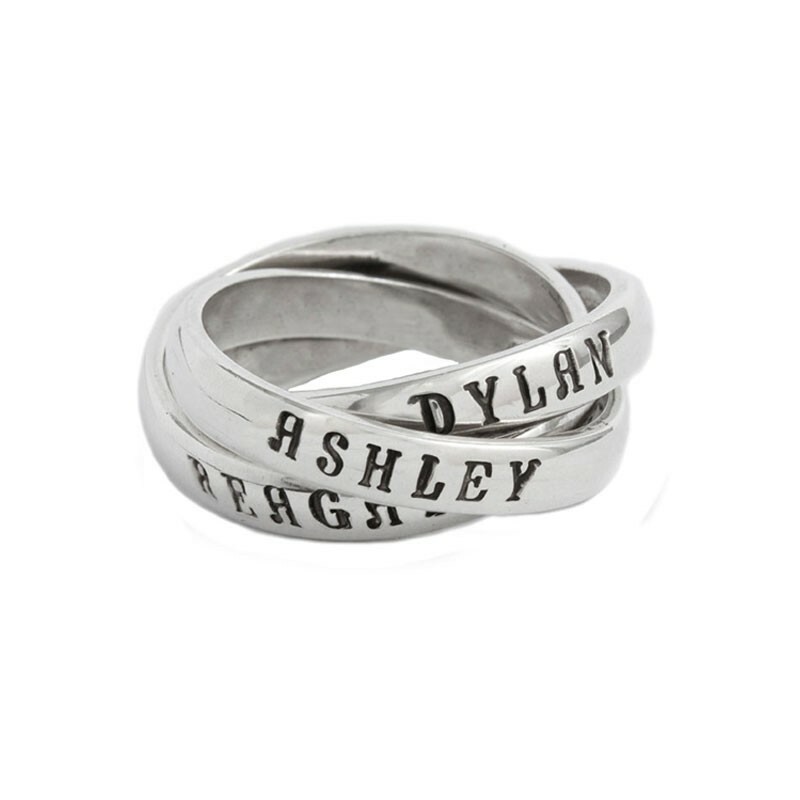 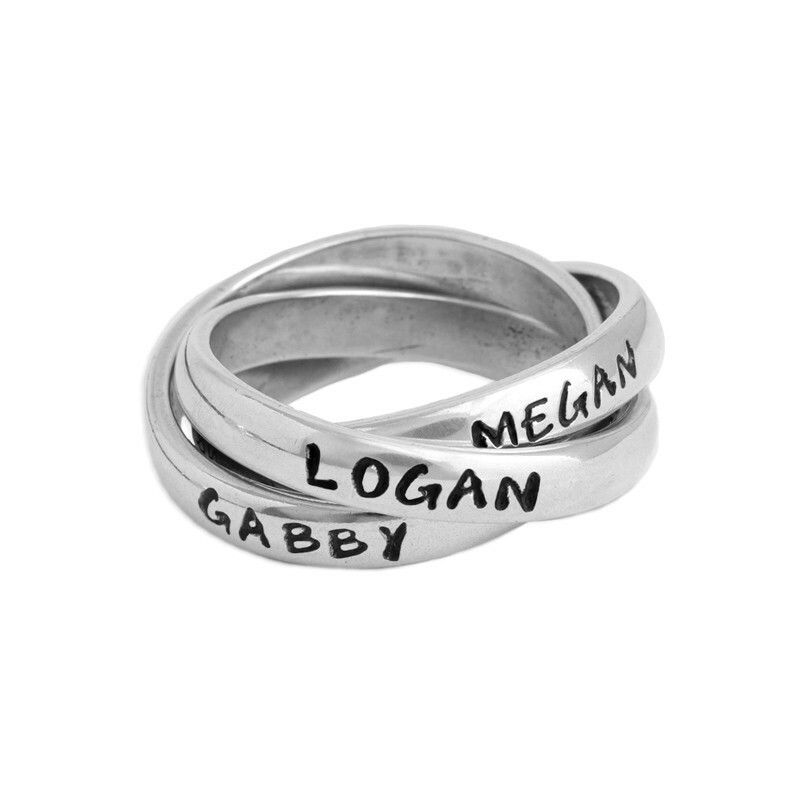 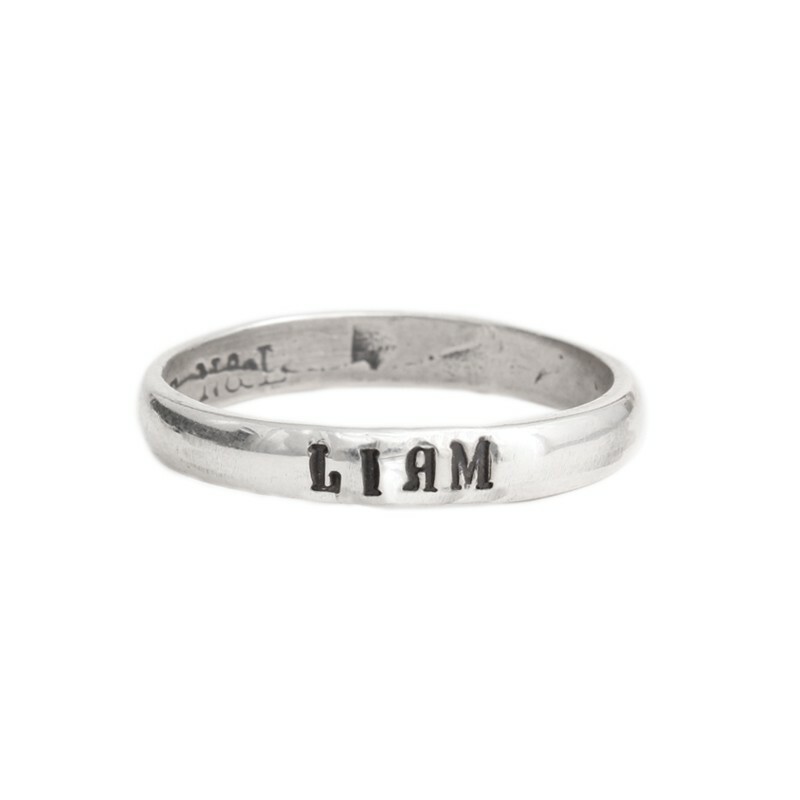 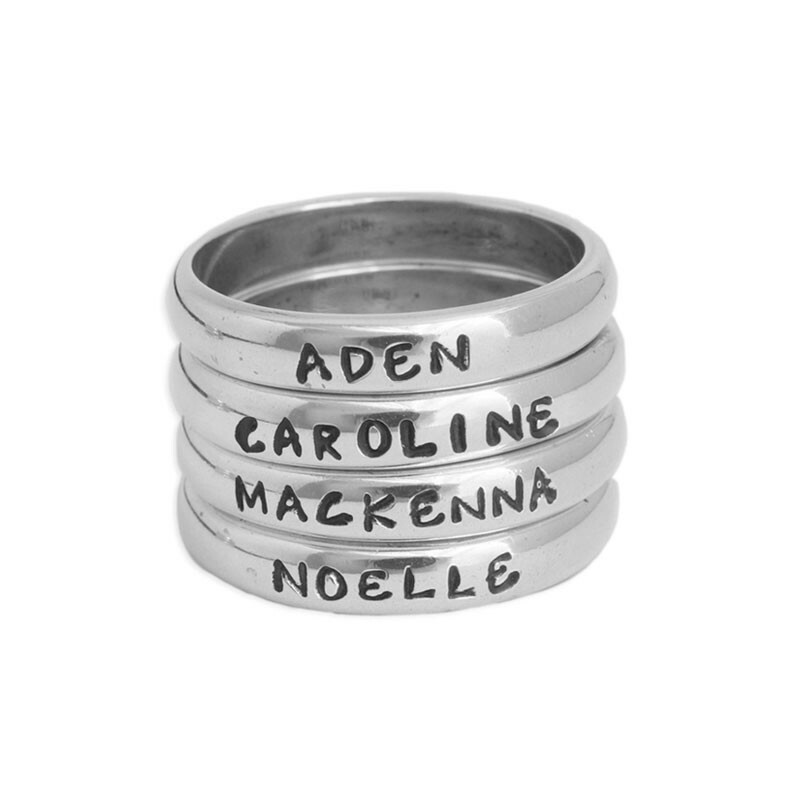 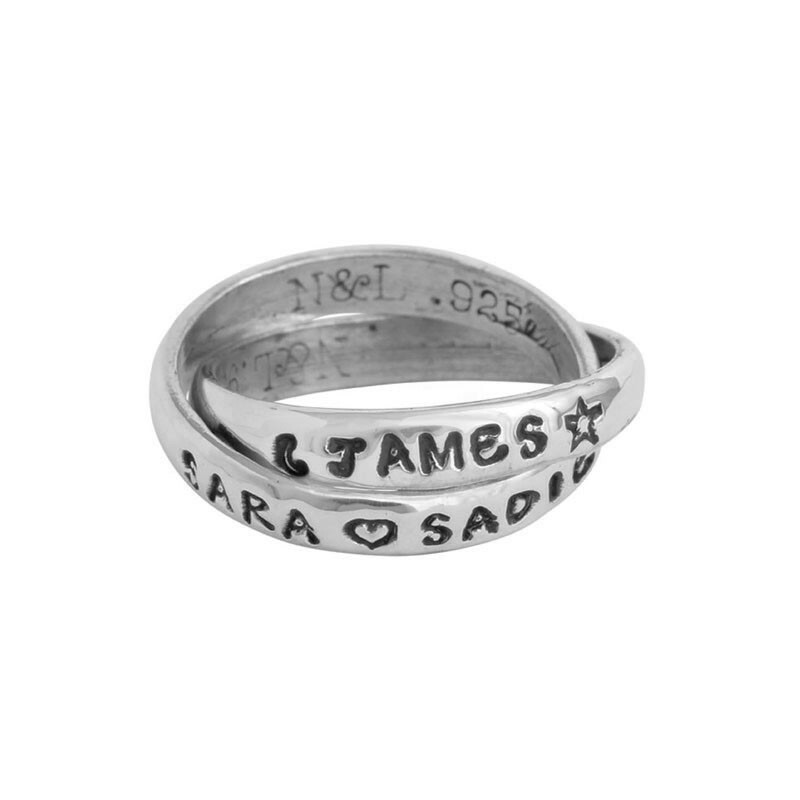 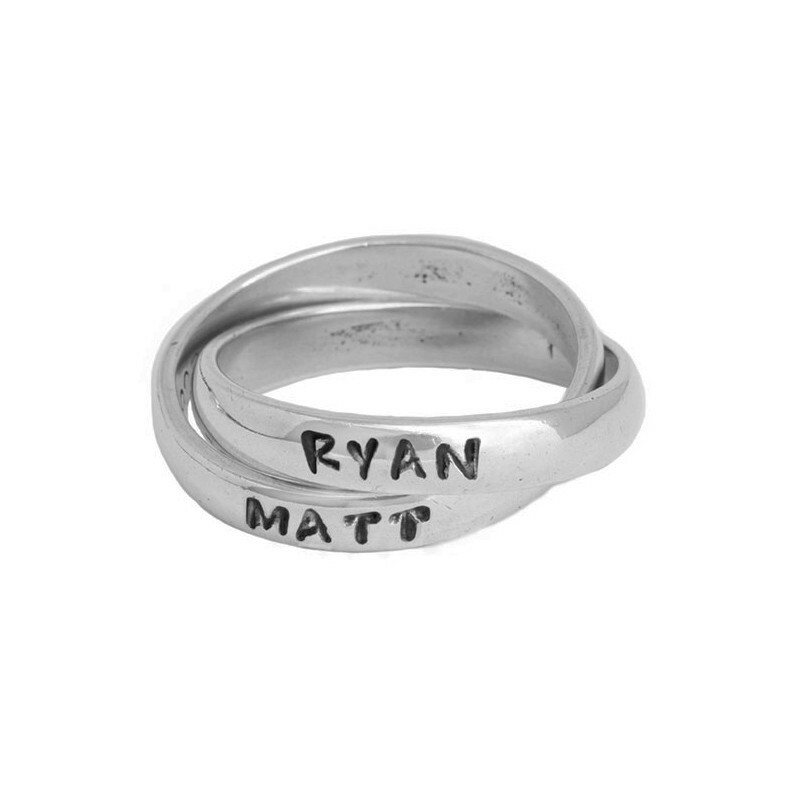 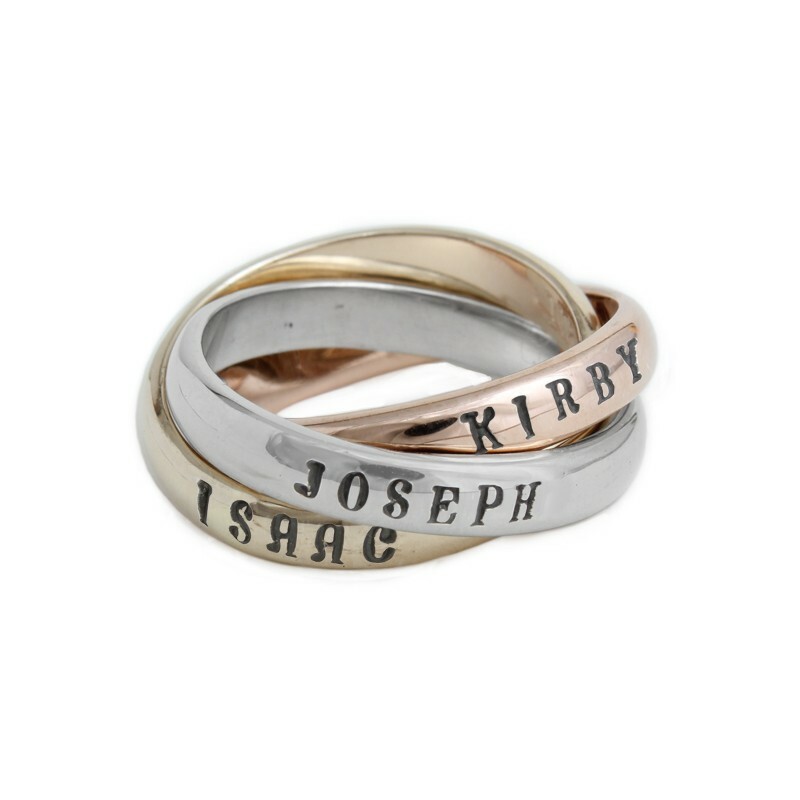 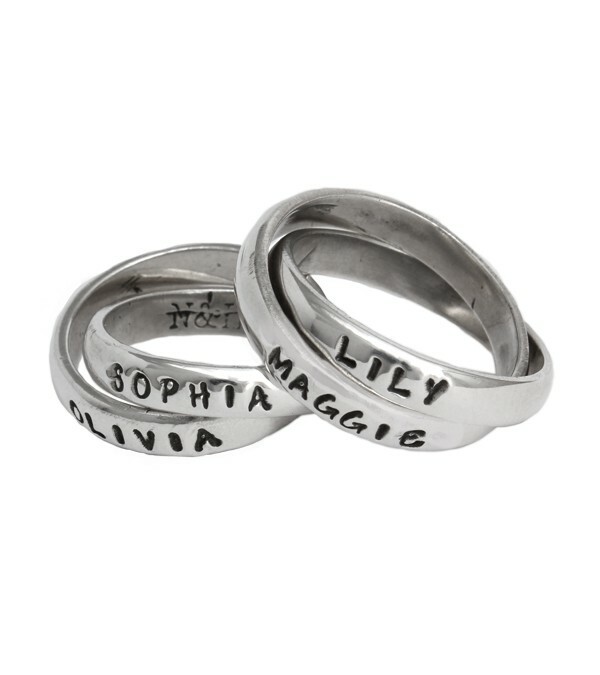 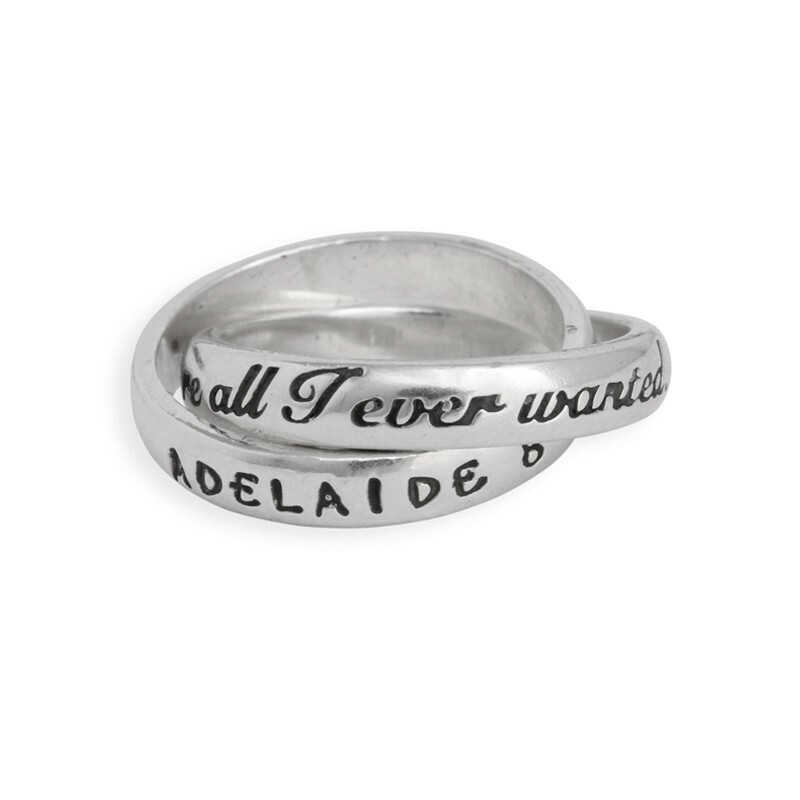 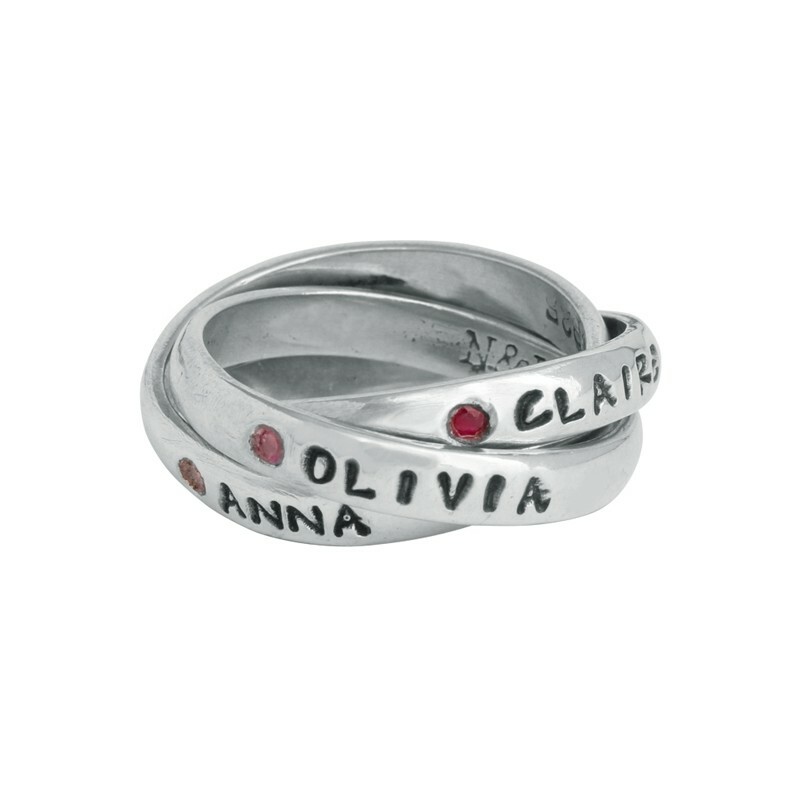 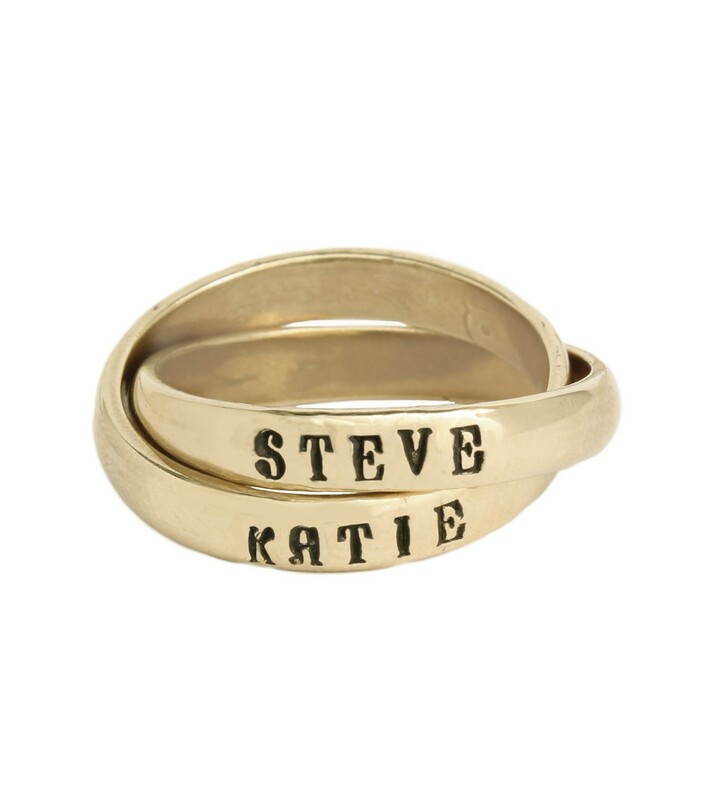 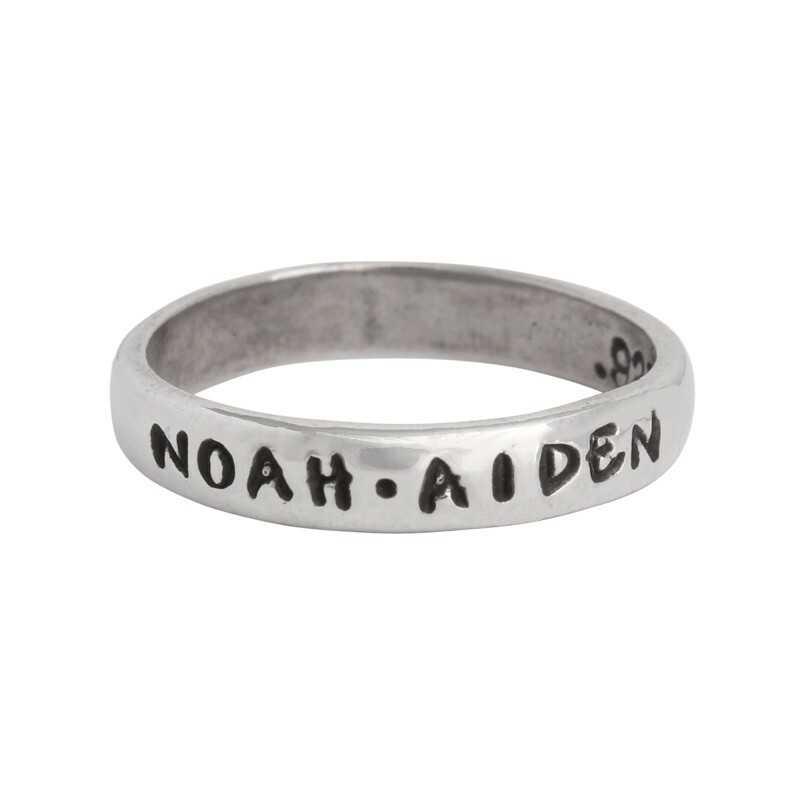 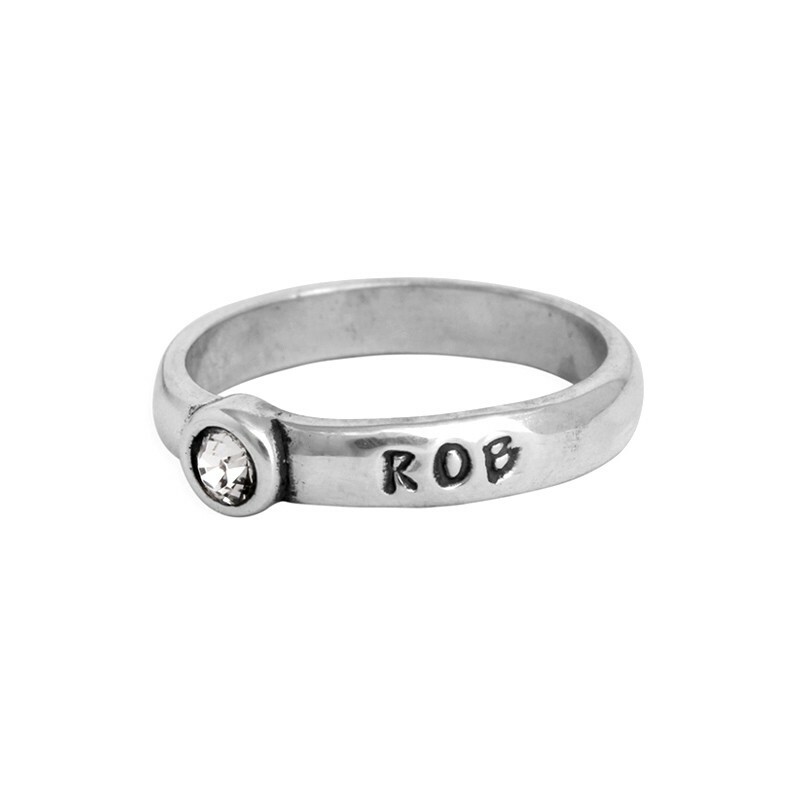 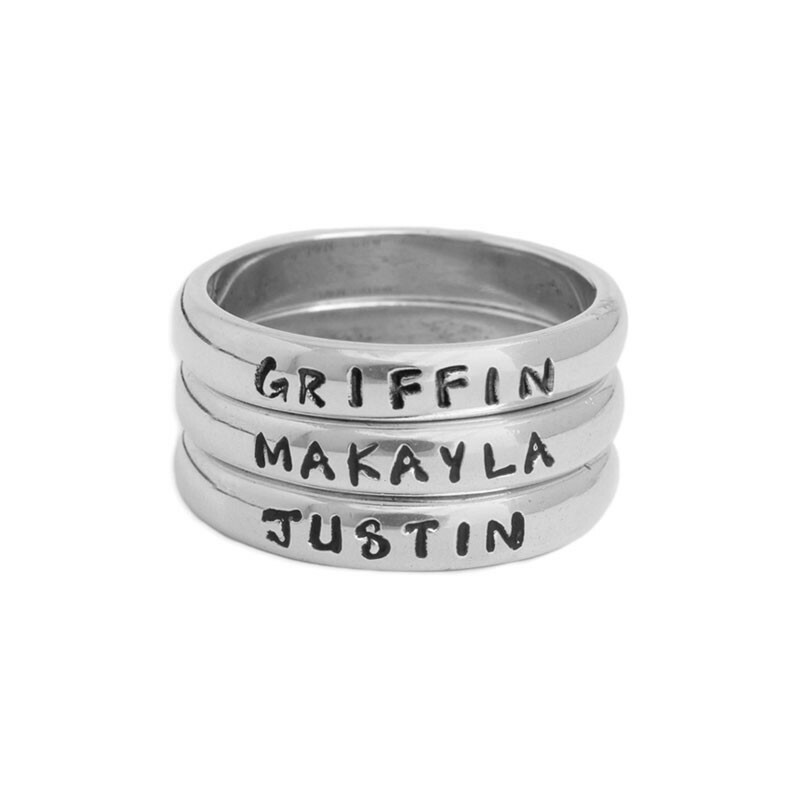 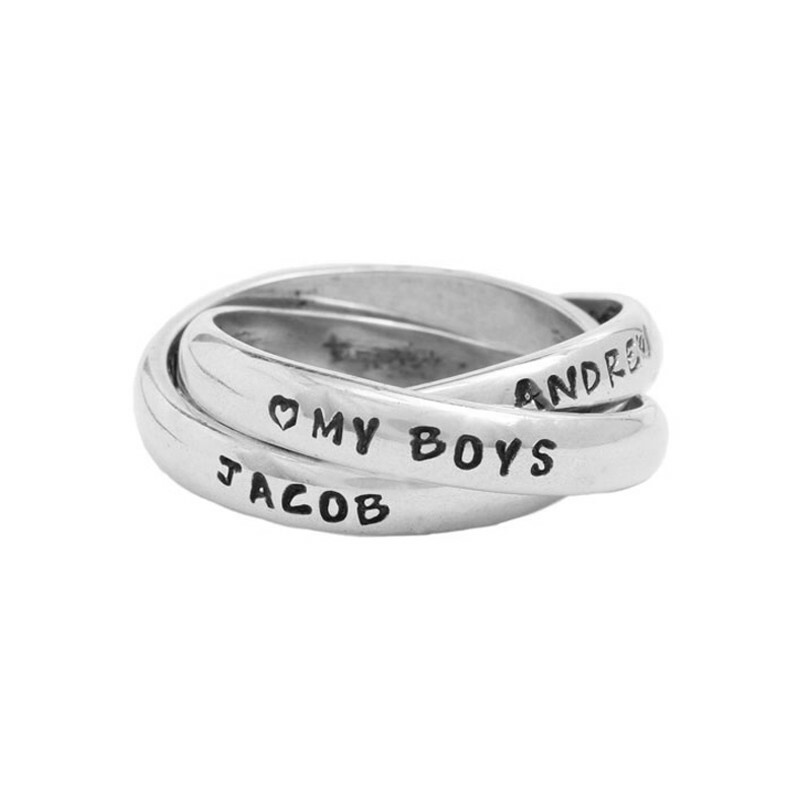 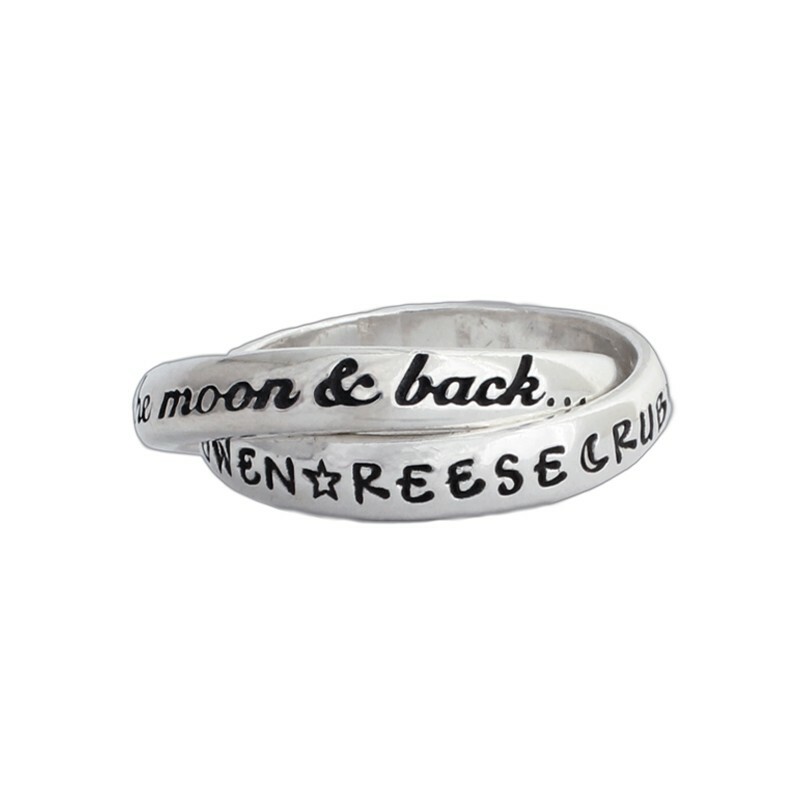 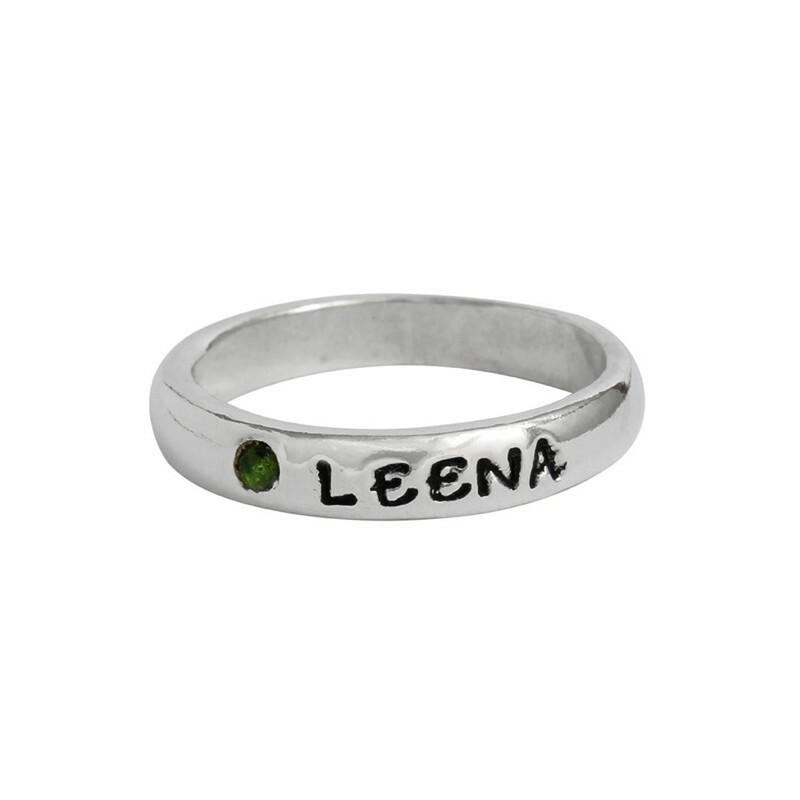 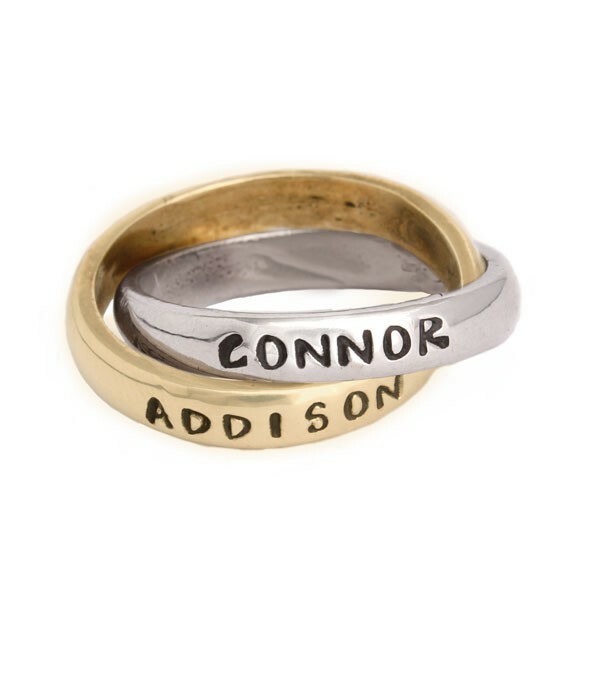 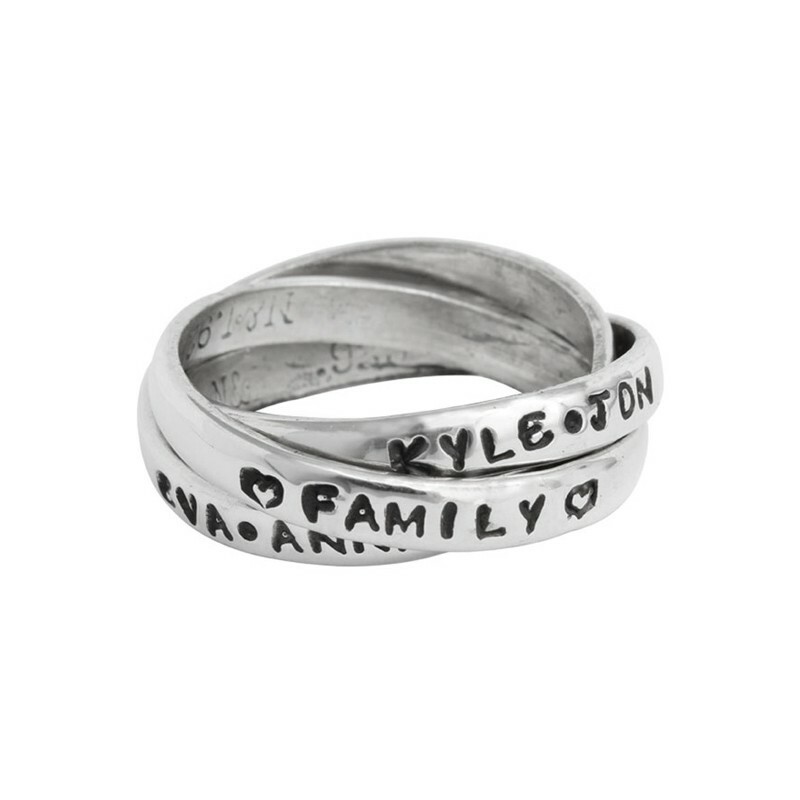 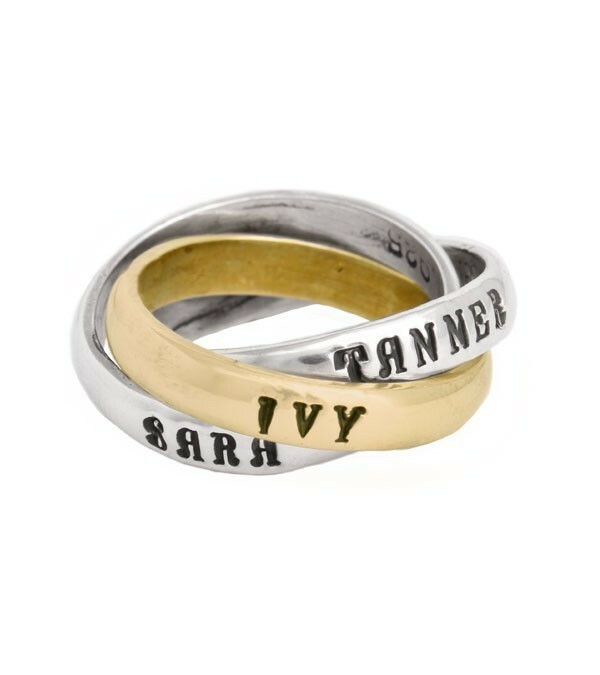 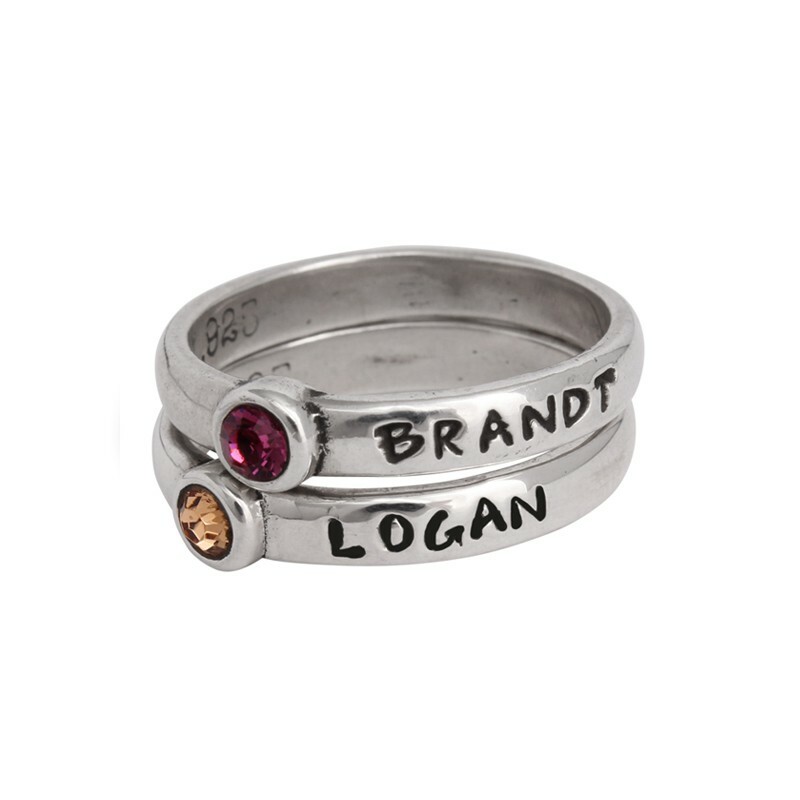 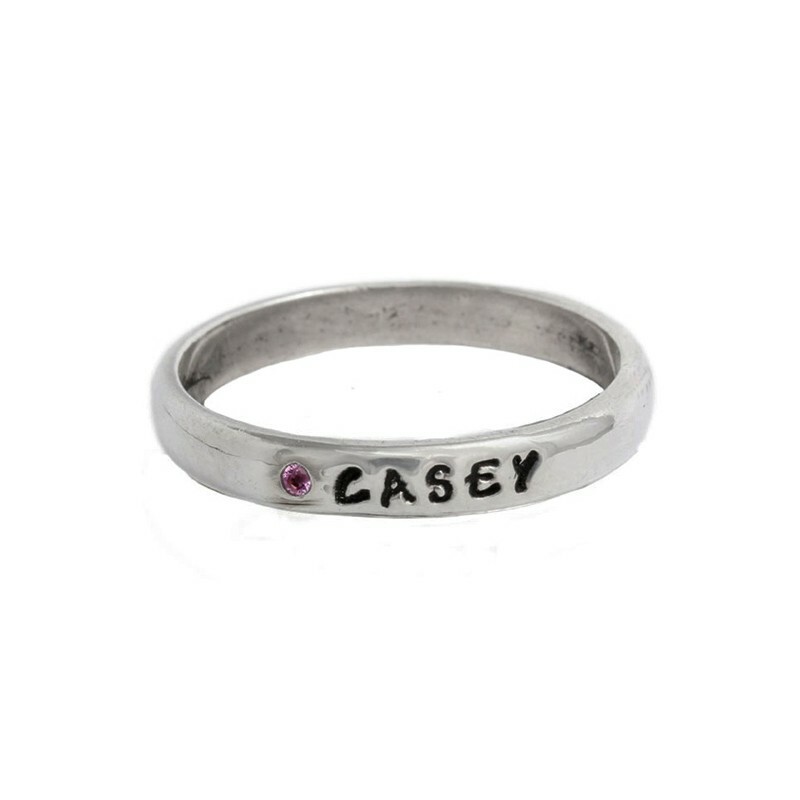 Name Rings are what we do best so why not let us stamp a grandmother's name ring and she will always have all of her grandbabies wrapped around her finger!